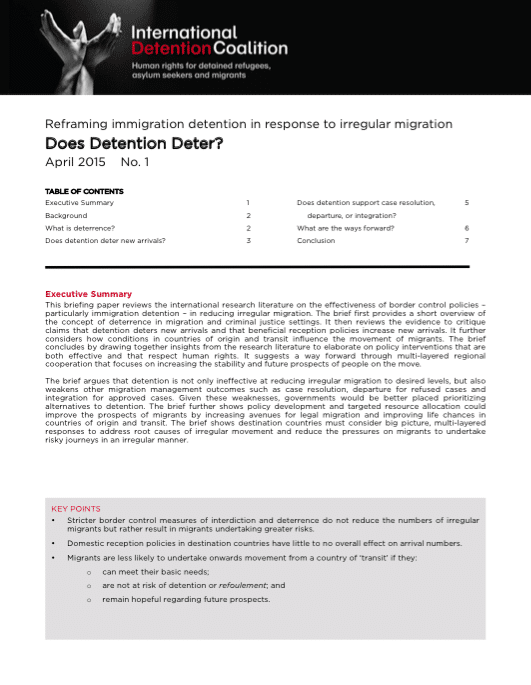 Review of research on the effectiveness of border control policies – particularly immigration detention – in reducing irregular migration. It argues that detention is not effective at reducing irregular migration and also weakens other migration management such as case resolution, departure for refused cases and integration for approved cases. It suggests government’s of destination countries must consider big picture, multi-layered responses to address root causes of irregular movement and reduce the pressures on migrants to undertake risky journeys.